Genius Monkey is a digital advertising technology firm with an advanced full service advertising platform designed for today’s real-time programmatic advertising needs. We specialize in Programmatical Display, Display Advertising, Digital Marketing, Ad Agency, Online Marketing, Advertising Technology, Digital Advertising, Real Time Advertising, Programmatic Advertising, Advertising, Advertising Platform, Full Service Advertising. We are currently looking for a highly motivated self-starter with a proven track record in B2B sales to fill the position of Client Solutions Manager/Sales Rep. Experience in advertising, digital ad space, pharmaceutical, copier sales, or ad agency is a plus. 100% commission with a minimum guarantee of up to $100k per year (DOE) with no limit on income. Other benefits and perks include health insurance, company-catered lunches and quiet Fridays. Interested in applying or learning more? 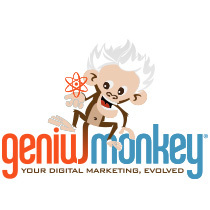 Contact Genius Monkey Chief Operating Officer Chad Hassel at chad@geniusmonkey.com or 801.699.6414.